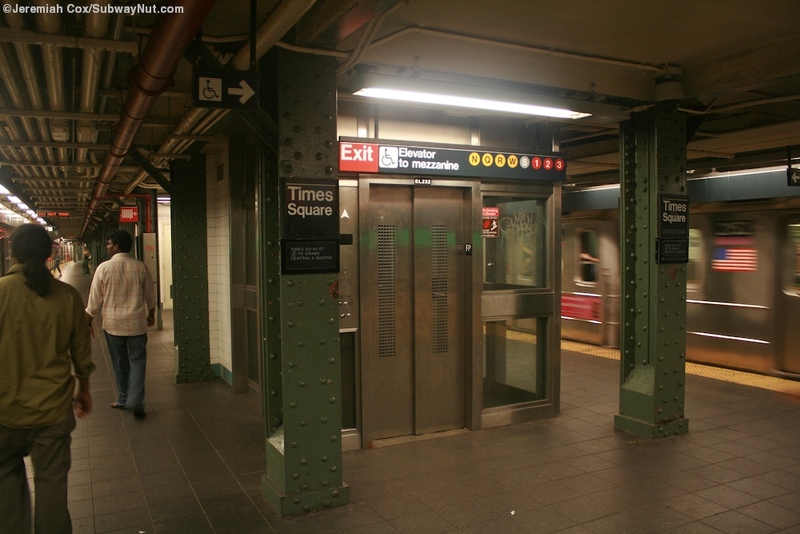 The Lower Level 7 platform at Times Square are deep below the surface underpinning all the other train lines at the station, and has a single island platform. 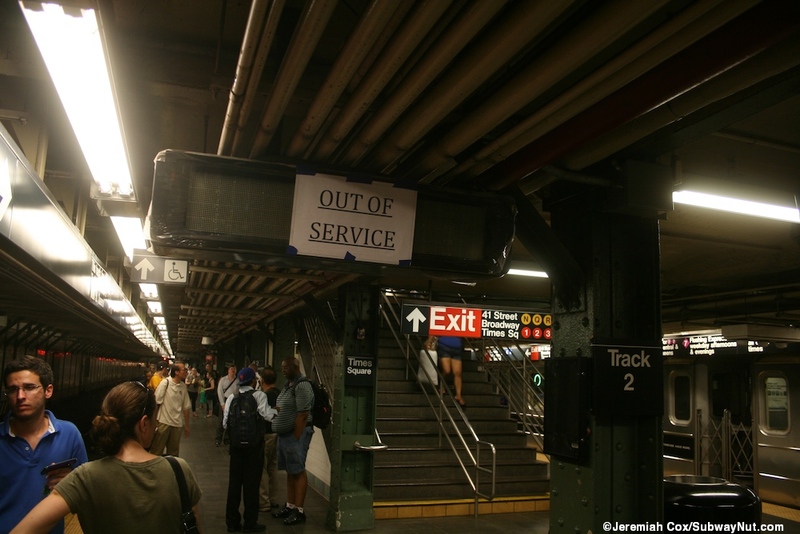 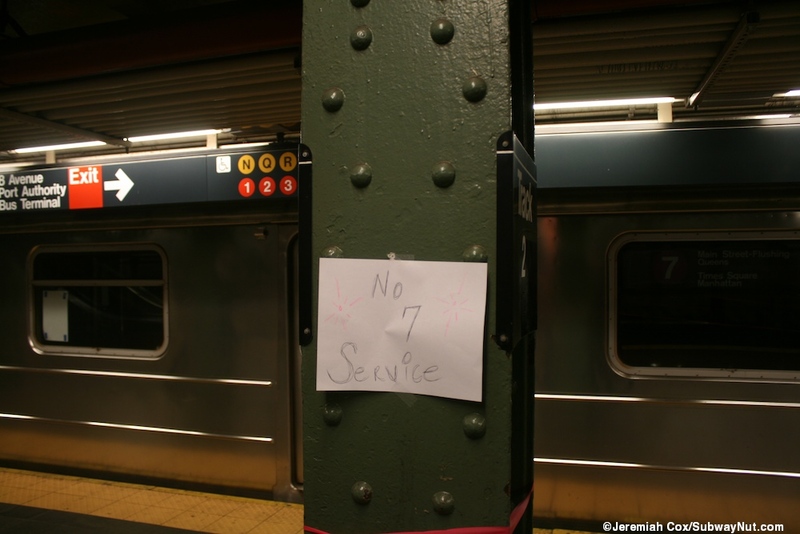 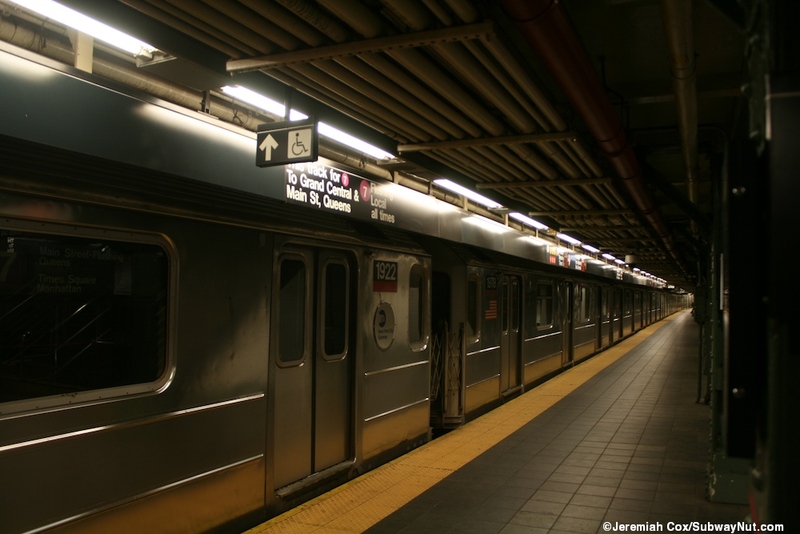 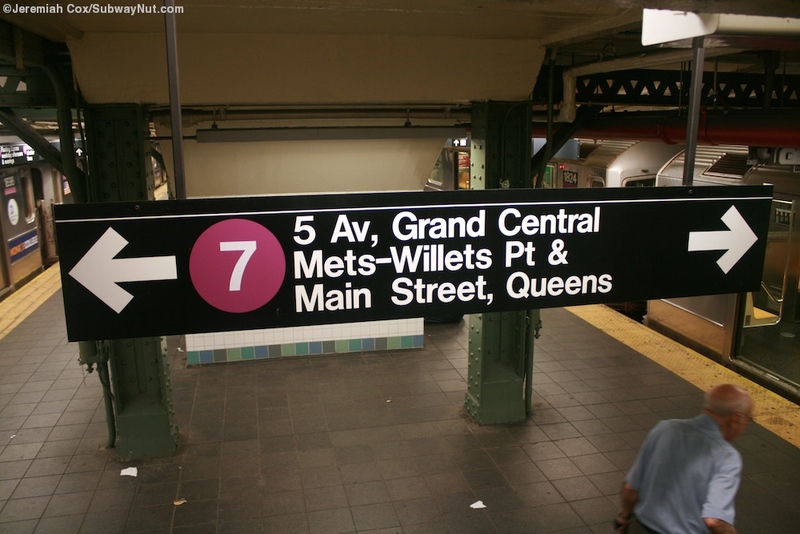 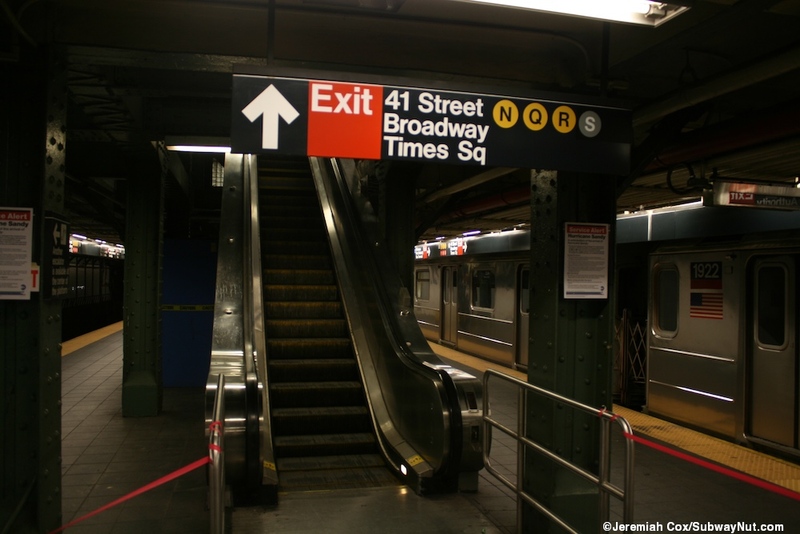 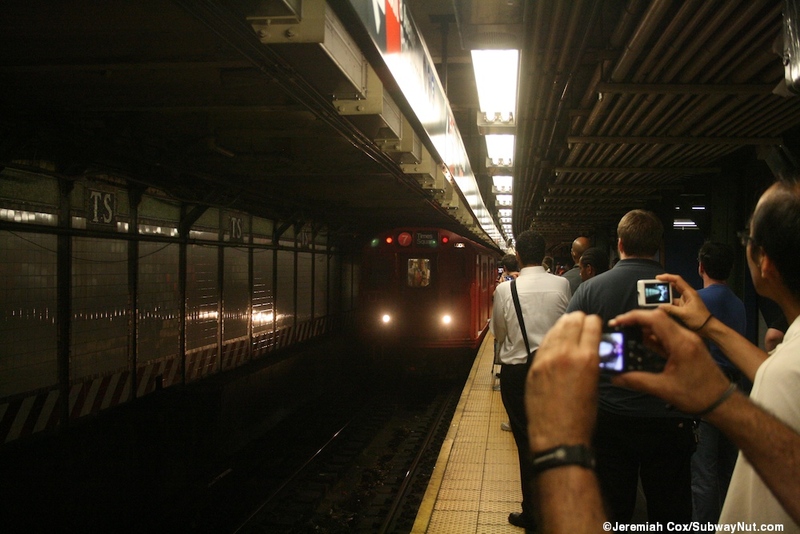 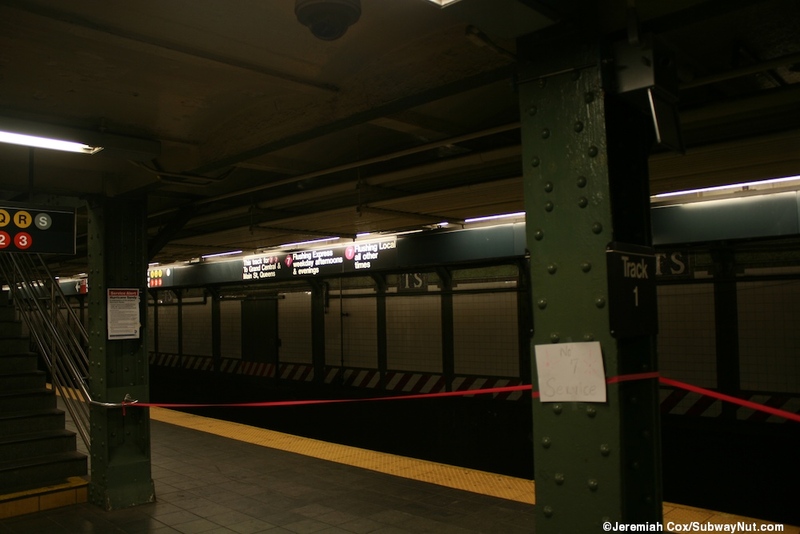 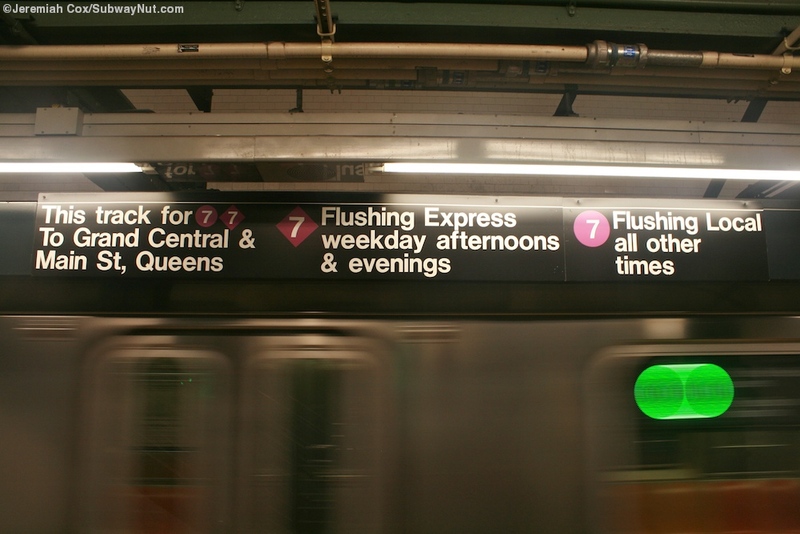 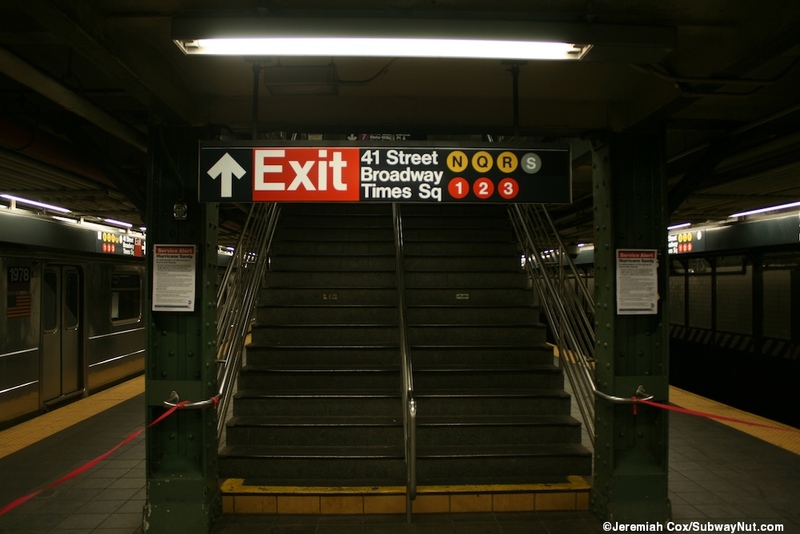 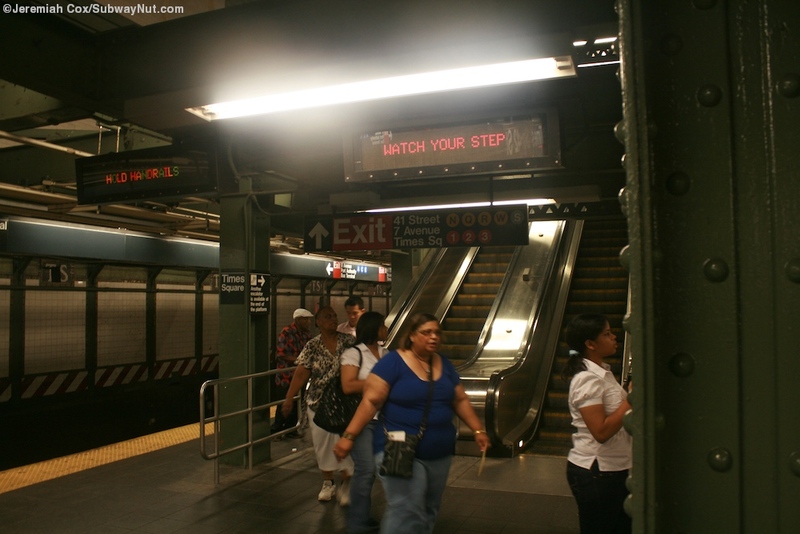 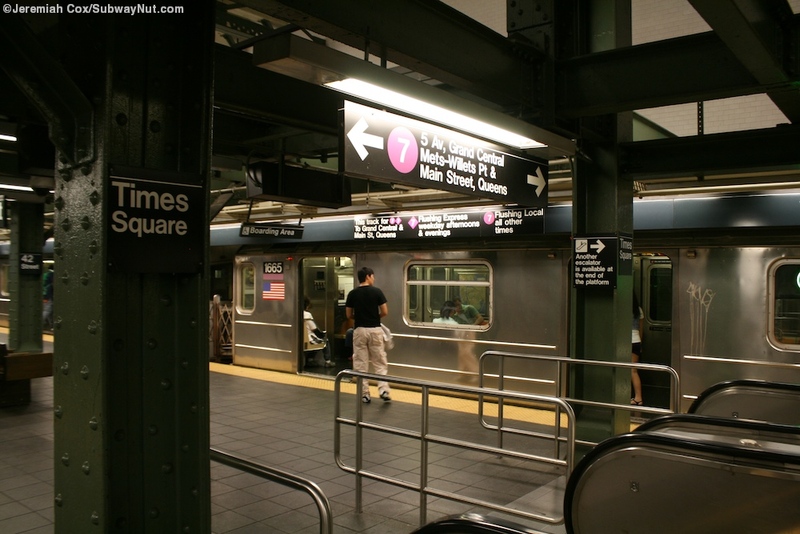 From the stations opening on March 14, 1927 until September 13, 2015 the station was the terminus of the 7 train. 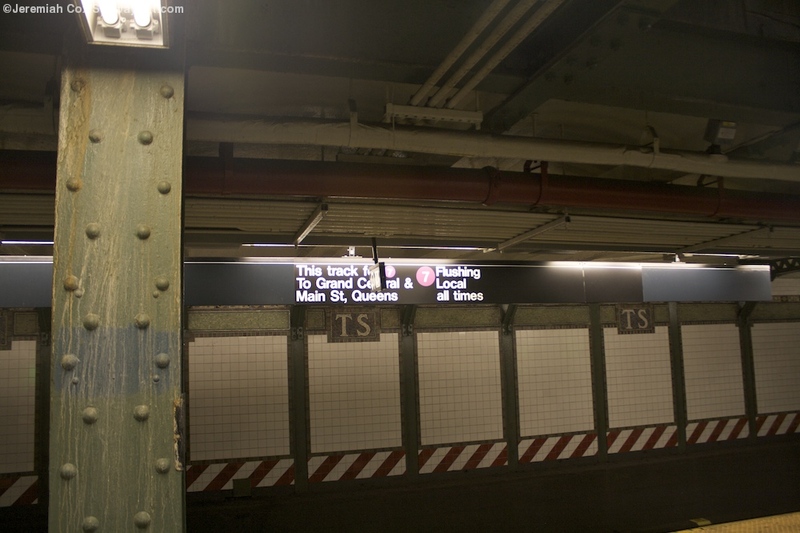 When used as a terminus for terminating trains, during PM Rush Hours when the <7> is operating, all local trains leave from the north track, and all express trains leave from the south track. 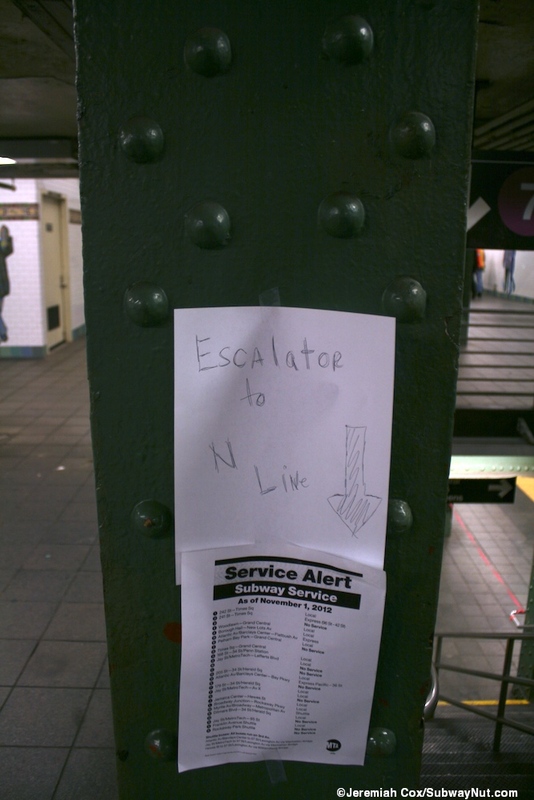 The signs on each side of the platform indicated this. 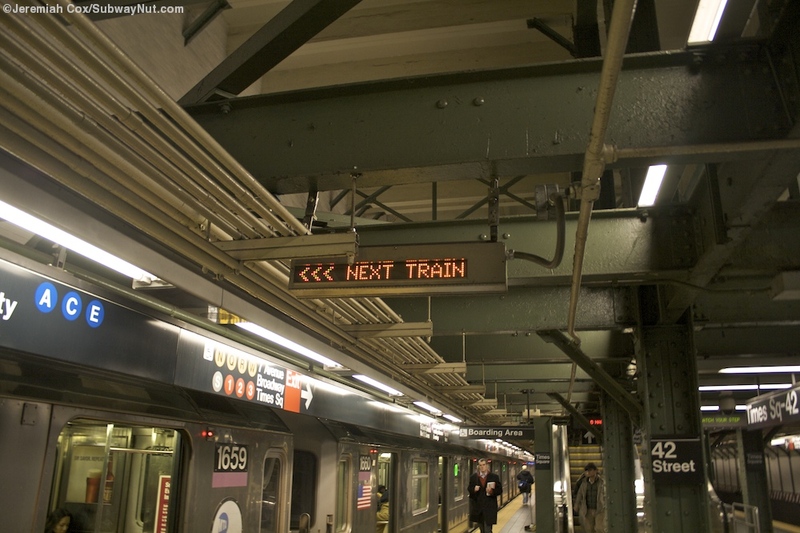 When all trains ran local they used both tracks and unusual small LED trains indicated what the next train to leave and on which side of the platform. 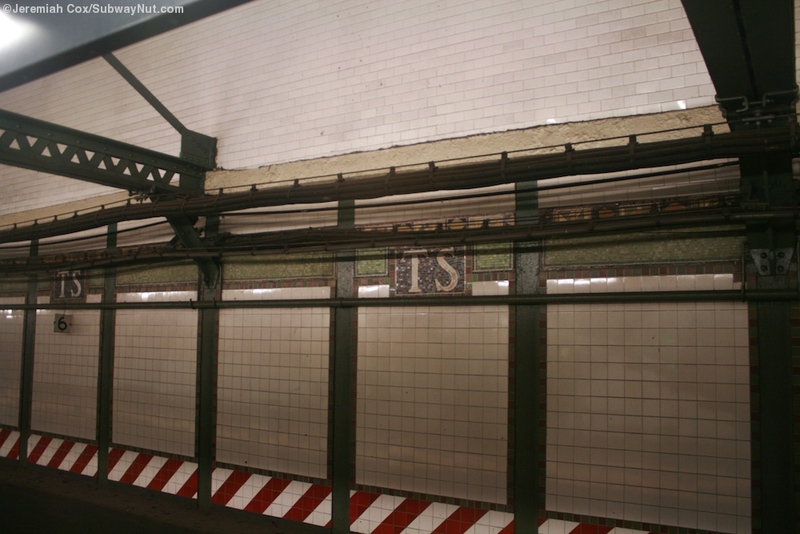 The platform walls have recently been restored with little green trimlines with TS written in brown at regular intervals. 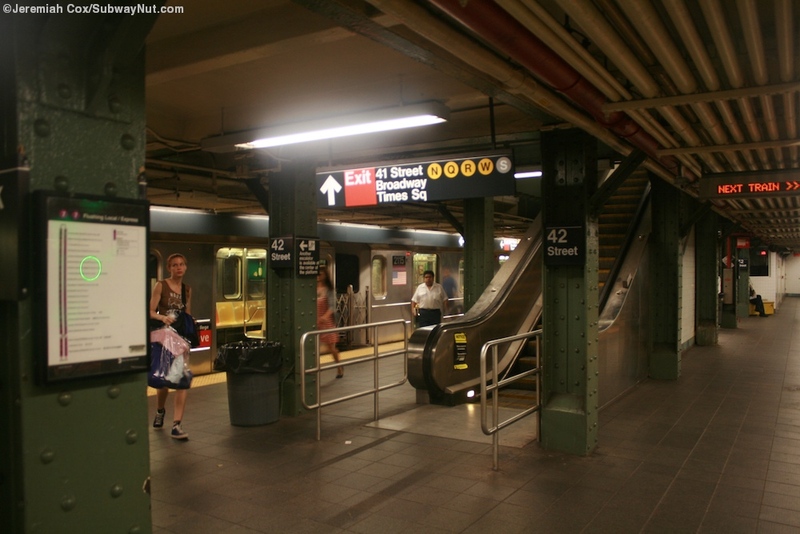 The station has no exits to call its own with staircases up to the lower mezzanine level just above that becomes the tunnel the A,C,E 8 Avenue Station (and those passengers on the IND trying to reach Grand Central can minimize their walking quite a bit by taking the 7 instead of the shuttle). 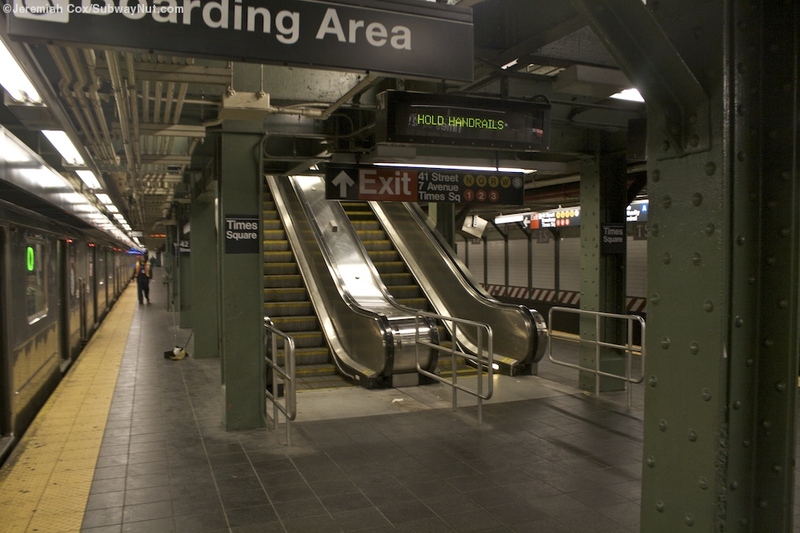 There is a bank of two escalators in the middle of the station and one at the extreme eastern end that lead directly up to the upper mezzanine for exiting the statoin. 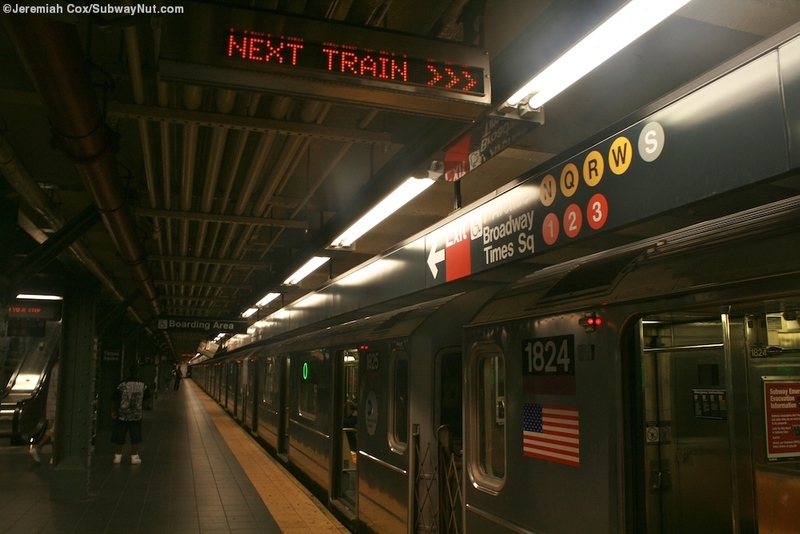 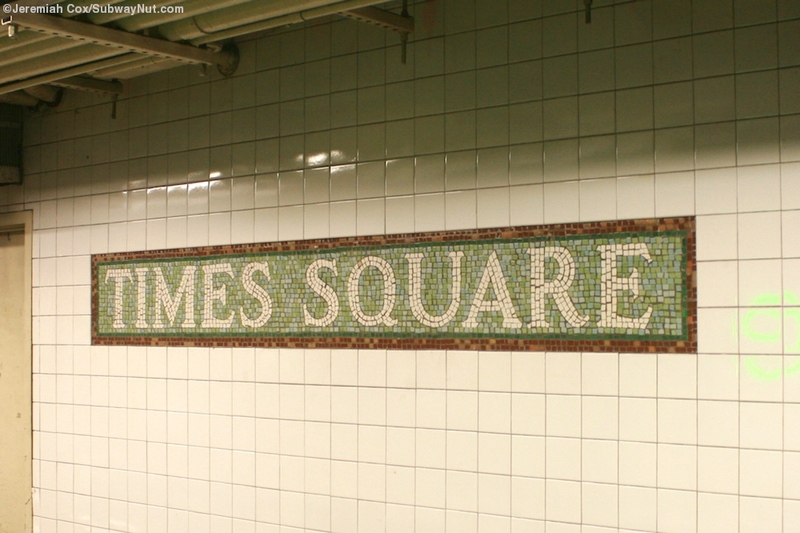 At the front of the platform there is a crew area in the middle and on this are facing each track are some modern retro-style Times Square name tablets.